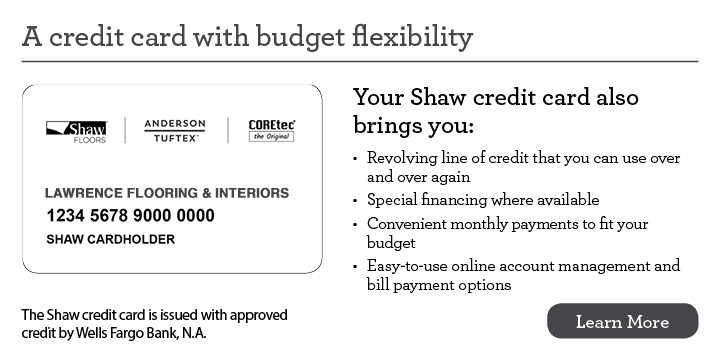 Use this line of credit to purchase the beautiful new flooring you’ve been waiting for. Our program offers you flexible financing options with the ability to buy now and pay over time. * The whole application process only takes a few minutes. And with around-the-clock online access to your account, you can easily make online payments, enroll in eBill or set up monthly AutoPay. Apply now or visit us today to get the purchasing power you need in just minutes, and to find out what Special Financing Offers are available.